Methadone Addiction Treatment: How to Find a Recovery for Addict? 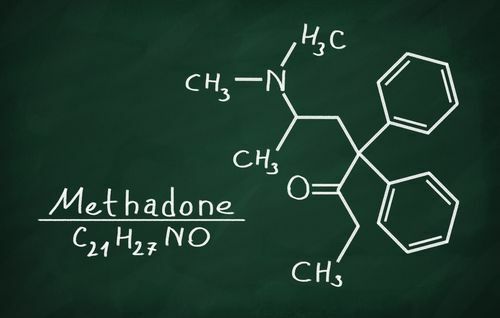 Methadone became well-known in the 1970s due to its use in treating heroin dependence. Since then, the use of the drug has expanded to treating addictions to any opioid drugs, including prescription painkillers. While the drug is highly effective at helping users wean off other drugs, the medication itself is often abused. In some cases, those seeking methadone addiction treatment claim they find it to be even more addictive than the drug they were trying to quit. When you consider that methadone acts on the brain in the same manner as heroin and OxyContin, compulsion on the drug is an obvious conclusion. It is also a long-lasting drug which builds up in the bloodstream, making professional treatment for methadone necessary. While it is possible to quit the drug, help is needed. How to Get Methadone Abuse Help? What are the Methadone Rehab Programs? Methadone dependence can occur whenever the drug is used, even when under the direction of a medical professional. When used to treat opioid dependence, it is generally harder to become addicted as most clinics do not give the patient doses to administer at home; instead, they must come into the clinic to receive them. The greater risk comes from those who are prescribed the drug for use at home or who obtain the drug illegally, as they may take the medication in higher doses than recommended — 120 mg per day or less — which is when the risk of addiction rises. It can be difficult for a user to realize they are, in fact, addicted to methadone. This is because methadone treatment is often long-term. Some opioid addicts are even instructed to remain on the medication indefinitely. As such, the first step in getting methadone addiction help usually recognizes something is wrong. Usually, one of the most prominent signs of dependence is the user is afraid to stop using the drug, but with methadone, that is often expected from standard use. Since it is meant to help keep an addict in recovery or a patient out of pain, there can be significant fear that stopping the medication will result in a relapse or physical agony. Instead, other signs must be sought to determine if the user is addicted to this drug. Once it is clear help for methadone addiction is needed, the user and their support system must look into treatment options. There are different types of methadone treatment options available, which makes it easy for the user to find one that works for them. Rehabilitation centers are located across the United States, many of them equipped to assist users in beating their dependence. To find these centers, the user should speak with addiction specialists who can help them find the center which best meets their needs. It is important that this process begins as soon as possible to avoid overdose and other negative consequences of methadone dependence. Once the user recognizes their addiction and the need to get off the drug, they must turn to methadone addiction treatment centers for assistance. While it can be tempting to detox from methadone alone, the potential side effects of doing so are uncomfortable at best and dangerous at worst. Additionally, since the medication is generally used to treat an underlying dependence, the user must learn to manage two addictions at once. While this sounds intimidating, it should not prevent anyone from getting methadone addiction treatment. Rehabilitation programs focus on building the skills needed to manage dependence and remain in recovery. Through these programs, healthy life is possible. The sooner they are started, the better the results will be. While rehabilitation centers cannot guarantee a given patient will remain in recovery, studies of the long-term success of these programs show that more often than not, they lead to success. Patients can select the programs that best work for them, including choosing between short-term and long-term programs and between residential and outpatient programs. Short-term programs are usually between one and three months with long-term programs lasting up to a year. With residential programs, the patient lives at the rehabilitation center, while outpatient programs have the patient travel to and from the center according to their schedule. With methadone drug treatment, rehabilitation is usually long-term and a combination of residential and outpatient care. What rehab for methadone users look like depends on the center has chosen and what the patient needs. It is important that the user carefully selects the facility they undergo rehabilitation with, as it needs to be a good fit for them. Treatment goals: The user needs to think about what they want to get out of treatment, and this needs to go beyond just no longer using the drug. Some potential goals are strengthening willpower, fostering better relationships, and even becoming more involved in religion. Preferred therapy methods: Every rehabilitation center has its own way of doing things. Some are very clinical in their approach, while others are all about getting in touch with nature, and others still create something of a family environment. This informs the types of therapies used. Pharmaceuticals, individual and group therapy, saunas, yoga, meditation, and other methods are all used by rehabilitation clinics, but not every clinic uses every technique. Experience with methadone addiction: Unlike many other drugs, methadone is not a medication people tend to associate with habit, mostly because it is used to treat other addictions. As a result, many rehabilitation centers do not offer methadone addiction treatment. It is essential to work with a provider that understands this particular addiction to get the best treatment. Rehabilitation is central to recovery from methadone addiction. However, selecting the wrong facility can do more harm than good. As such, the user must research their options as much as possible before making their selection. With the right help recovering from methadone addiction is possible. Addiction is a taboo topic, and when people realize they are addicted, they often feel ashamed. However, as long as the user is seeking help, there is no reason to be embarrassed. Being addicted to methadone does not mean someone is bad or even that they made a mistake; addiction can occur even when the medication is prescribed and used properly. No matter what lead them to addiction, everyone deserves a healthy and fulfilling life. Methadone addiction treatment is available and should be sought before it is too late. Methadone is a drug that is both difficult and dangerous to stop. If someone is addicted to the medication, they should seek out methadone addiction treatment. At the right center, withdrawal can be handled safely, and the skills needed for lifelong recovery developed. While not all centers are adept at managing recovery from methadone addiction, those that help users live their best lives. If you or a loved one are addicted to methadone and are ready to seek help quitting the drug, there is an addiction center ready to help you. To learn more about the centers which treat methadone addiction, contact our recovery specialists at (888)-459-5511.